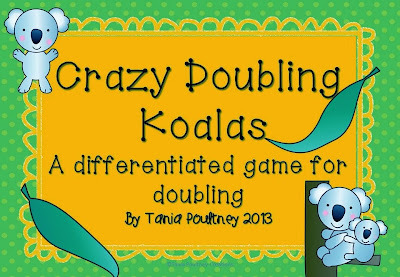 Differentiated Doubling Game - Support the Bushfires! Are you looking for a great differentiated game for doubling? Tania at Mrs Poultney's Ponderings has put this cute game together using some adorable Koala clipart. The best thing is though, buy purchasing this pack during it's first week on sale, 100% of the profits will go to helping injured wildlife from our recent bushfire! You get yourself a great activity and know that you are also helping. Head on over and purchase it at TpT today!